'What treats you have in store!' IAN RANKIN. Sigmund Freud deals with an unwelcome visitor; Columbo confronts a murderous bookseller; a Mexican cartel kingpin with a fatal weakness for rare books; deadly secrets deep in the London Library: who knew literature could be so lethal? Here are 15 short stories to die for from the world's best crime writers. 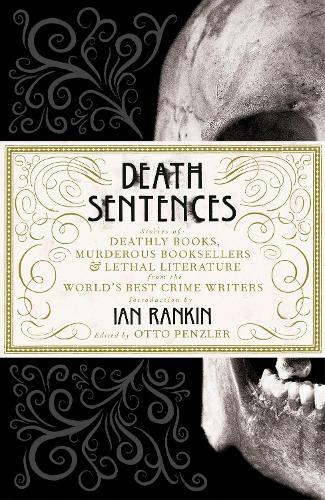 With an introduction from Ian Rankin, DEATH SENTENCES includes original, specially commissioned stories about deadly books from Jeffrey Deaver, Andrew Taylor, Laura Lippman, C.J. Box, Anne Perry, Ken Bruen, Thomas H. Cook, Micky Spillaine & Max Adam Collins, Nelson DeMille and John Connolly. 'A single handsome hardback edition - one of the finest multi-author collections in a long time' The Sunday Herald. 'What treats you have in store! All these stories show their authors to be masters of their craft' Ian Rankin. 'A treasure chest of bloodthirsty bibliophilia ... a delightful, ingenious, specially commissioned anthology, both hair-raising and playful, packed with baffling plots, unlikely characters, literary references and bookish conundrums' The Good Book Guide. 'We tend to imagine book loves, librarians and bibliophiles of all stripes as quiet, gentle folk. In Death Sentences, however, book lovers are bludgeoned to death by their precious tomes, crushed by falling bookshelves, shoved down library stairs, or blown to death by a bomb smuggled into their private library. Some of the authors play the concept for wry comedy. Others take a more serious approach' Irish Examiner.